They do not want "any uneasiness and additional stress" this year. A northern Alberta school board has banned students from wearing clown costumes this Halloween in an effort to curb any anxietes brought on by a rash of recent creepy clown sightings. The Fort McMurray Public School District has outlawed any such outfits as it does "not want any uneasiness and additional stress" from costume choices this year, it said in a memo tweeted Thursday. The memo was signed by superintendent Doug Nicholls. 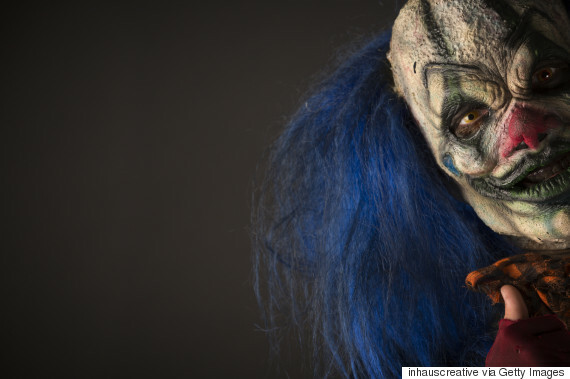 The ban was put into place after similar decisions at other schools in Canada and the U.S.
A Winnipeg School Division spokesman told CBC News that people wearing creepy clown costumes seem like they want to "deliberately scare people." The New Haven Public School district in New Haven, Conn. banned clown costumes earlier this month, amid a police investigation into an Instagram account that used photos of creepy clowns to make threats of "watch out" and "wait and see" against several schools, reported Global News. Police in Airdrie, Alta., told reporters earlier this week that they are investigating several complaints about suspicious people wearing clown costumes and masks. However, Cst. Jennifer Weedmark told the Calgary Sun that as long as the clowns are not harassing or intimidating the public, it is not illegal to dress in a clown costume.